My Lead Together For Change ™ (LTC ™) coaching programs are based on my personal experiences with time proven agile and lean values, principles and best practices. Do you wish to master the art of collective change management? Ultimately become self-sufficient in making critical decisions, taking effective action and producing high value outcomes with maximum benefits to all concerned. Take charge of its execution in all confidence. 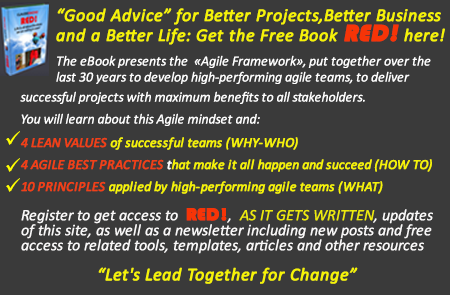 Your new Agile Mindset will enable you to design by yourself the best original recipe for success possible: one that is highly cost-effective, that includes maximum flexibility and that is customized and perfectly adapted to the specific situation at hand. Learning how to use, leverage and integrate highly effective agile/lean, co-creative and collaborative project management best practices, including the Changeboxing Methodology, a tested and proven change management process that accelerates and maximizes the benefits of your projects. Taking individual and collective leadership of your actions, as you become high performing individuals, leaders, project teams and organizations in your field of work. How am I different from other change management coaches? I prefer to work with you on a specific change project, coaching you or your group to gain tools for immediate success with this endeavor and learn skills that you will have forever. This has the advantage to create the conditions for the development of immediate actionable new skills, resulting into actions that will give quick, easily measurable, concrete benefits. As your coach, I do not expect nor wish for any long-term relationship based on dependence. LTC ™ coaching is about freeing your innate talents and empowering you and your collaborators to use them as you please. The faster you will become self-sufficient as agile-minded individuals, leaders, teams and organizations, the better it will be. 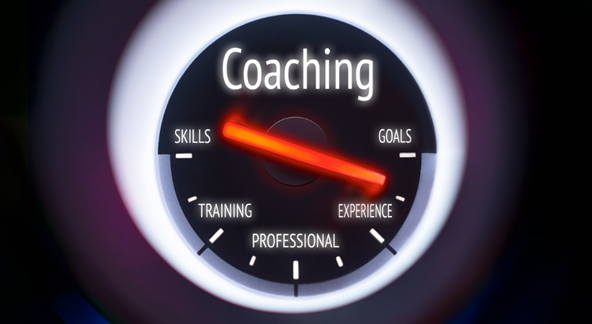 LTC™ Coaching Programs include, as needed, face to face and/or virtual coaching assistance to a whole organization, teams and/or individuals. I will challenge and support you in developing and applying the skills and tools that will make you happier as you attain your goals. It is a great honor and a privilege for me to be of service to you. It is with great humility and pride that I offer to contribute my practical experience and coaching skills to your success. We can meet face to face if I am close by. If I am not, we can meet by telephone, by skype or video conferencing to discuss your coaching needs, the customization necessary to meet these needs, pricing and conditions.